The importance of consistency in strengthening a marriage. In Singapore, latest figures show that marital dissolutions are still on a high where there were 7,614 divorces and annulments in 2016 (47.8% increase from 2000). Most notably, infidelity and extra marital affairs are cited as the top main cause of marriage breakdowns (Singapore Department of Statistics, 2016). Trust and intimacy are essential for married couples to nurture a resilient marriage yet amidst busy schedules, caregiving and parenting responsibilities, it can be challenging for couples to prioritise one-on-one time with each other. Therefore, it is crucial that we encourage married couples to be intentional about investing in their marriage by cherishing their spouse and expressing love through the simple, everyday moments. 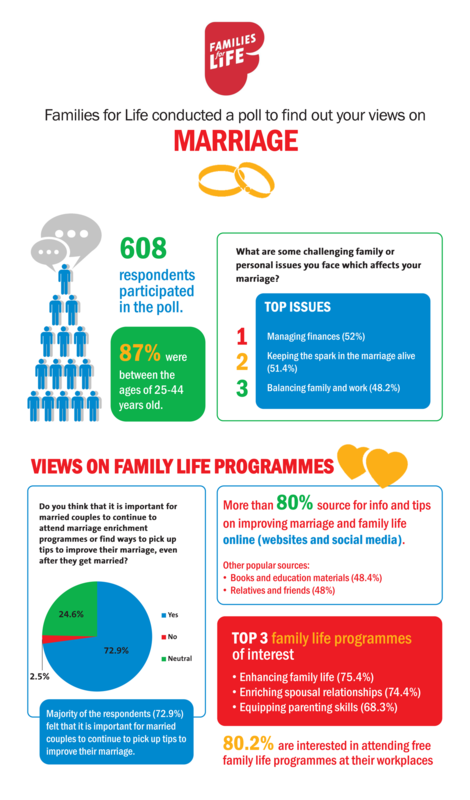 A Families for Life poll in 2015 on Marriage which surveyed 608 respondents showed that more than half of the participants had experienced challenges in ‘keeping the spark in the marriage alive’ (Families for Life, 2015). Taking small but regular and consistent actions are key for married couples in rekindling the spark in their marriage and nurturing greater intimacy. 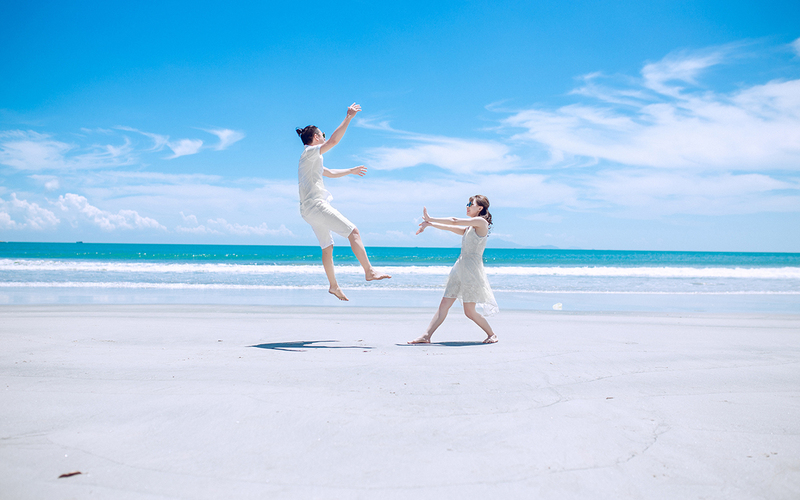 One simple and intentional way for couples to express their love includes affirming and communicating the traits, qualities, behaviours, that they value about each other. Appreciating and honouring one another for the simple things– whether it’s preparing a cup of coffee for your spouse each morning, or saying ‘thank you’ when they help with the dishes at night – will also go a long way in fostering a strong marital relationship. Research suggests that both husbands and wives value simple but meaningful everyday affirmations such as encouraging words, gratitude, and physical affection (Marigold, Holmes & Ross, 2007). In addition, Feldhahn (2013) discovered that husbands were most satisfied when they received thanks and wives were most satisfied when they experienced physical displays of affection such as holding hands. From our interactions with couples who come for marriage coaching, counselling or participated in our programmes, including Celebrate Marriage – an annual campaign by Focus on the Family Singapore around Valentine’s Day, we observe that marriages can thrive when couples move beyond the realm of emotions after the romantic feelings of love fade over time, and adopt a consistent attitude towards investing in their marital relationship. Truly, love is in the small things. Feldhahn, S. (2013). The Surprising Secrets of Highly Happy Marriages.